Super easy to make and an inexpensive alternative to store-bought bars. Enjoy for breakfast, lunch or a protein-packed snack. If needed, melt peanut butter with honey on stove or in microwave until easy to stir. Mix in vanilla, oats and skim milk until thoroughly combined. (Add enough milk so mixture isn't dry.) 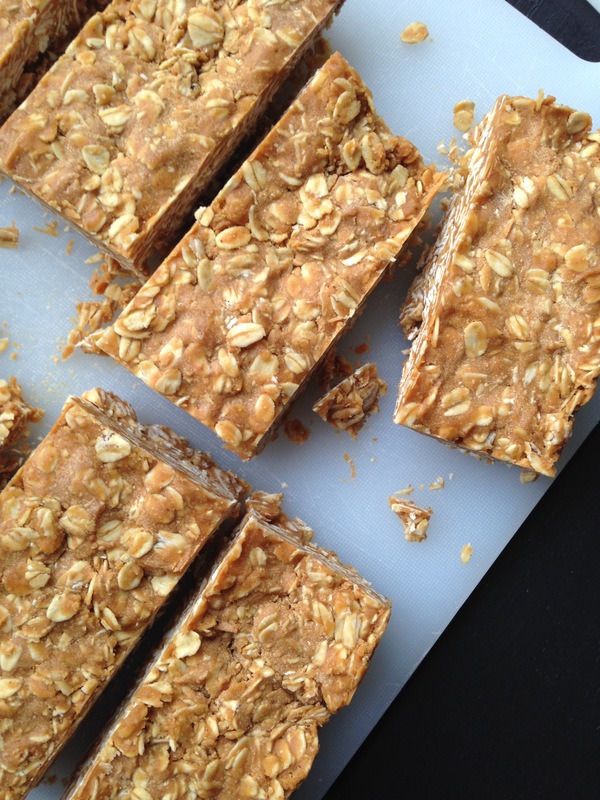 Line an 8 x 8 glass or metal pan with foil, then press peanut butter oat mixture evenly into the pan. Freeze for 1 hour before cutting into 8 bars. Store bars in freezer or refrigerator. If freezing, you might want to let your bars thaw out a bit before eating.